Enderby is a village in south-west Leicestershire, about five miles from Leicester. The villages of Enderby and Whetstone were recorded together in 1669. Illegal religious meetings were more often held in Whetstone, but a Presbyterian meeting was sometimes held in widow Smith’s house in Enderby under Narborough’s ejected minister Matthew Clarke. It was attended by about 40 people. In 1672 the house of William More was licensed for Presbyterian worship. Only three nonconformists were recorded in the village in 1676. By 1706, the position was similar, with only two people, described as Presbyterian or Independent, absenting themselves from church. Three years later there were said to be 10 dissenters living in Enderby. A meeting house was registered at the home of a dissenter in 1720. Five more meeting places were established before the end of the 18th century, namely in 1770, 1782, 1783 and 1793, with two recorded in 1770. For these meeting places, there is no record of the denomination. Baptists began preaching in Enderby in 1818, but meetings were abandoned when their meeting house was ‘taken over’ by Independents, and members instead walked to the chapel at Thurlaston for their worship. The 1829 Religious Return counted 300 Independents in the village. A chapel had been built on what became Chapel Street in 1822. It contained 280 sittings, 100 of them free. The Religious Census of 1851 recorded services in the morning, afternoon and evening, with attendance on census day marked as 120, 228 and 203 respectively. The corresponding figures for average attendance were 90, 210 and 203. Sunday School sessions were held in the morning and afternoon, with attendance on census day recorded at 90 and 79 respectively. Average figures were not given. 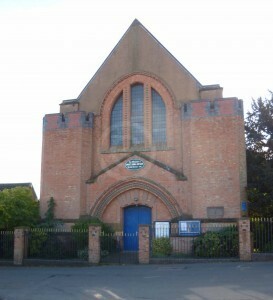 The chapel was extended in 1860 at a cost of £150. It was described by White’s Directory as a ‘good brick building’ containing 350 sittings and an organ. The seating capacity is disputed by Kelly’s Directory, which stated in 1908 that the chapel contained only 230 sittings, even less than before the expansion. It was rebuilt in 1910 with 320 sittings. The chapel is now Enderby United Reformed Church, and is still open for worship in 2013. Primitive Methodists built a chapel on Cross Street in 1849, at a cost of £150. It contained 100 sittings, 60 of them free, as well as 40 standing spaces. On census day, services were held in the afternoon and evening, with attendance recorded at 82 and 126. Average figures were not given, and there is no evidence of a Sunday School. Later directories confirm the continued existence of the chapel. 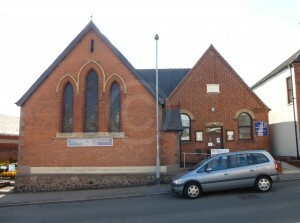 It has subsequently been extended and is now Enderby Methodist church. It remains open in 2013. The 1829 Return for Religious Meeting Places also records a congregation of 40 people meeting in the village, who are described as ‘Revivalists’. Leicestershire and Rutland County Record Office (ROLLR), list of religious meeting places in Leicestershire, entry for Enderby, QS 44/1/1, rot. 4v. Ibid., QS 44/1/2; QS 44/2/77. The location of the chapel is cited in Kelly’s Dir. (1908) p. 79. 1851 Religious Census of England and Wales, entry for Enderby, Independents, HO 129/411/35. White, Hist. Gaz. & Dir. Leics. (Sheffield, 1863) p. 655. Kelly’s Dir. (1908) p. 79. Kelly’s Dir. (1916) p. 78. White, Hist. Gaz. & Dir. Leics. (Sheffield, 1863) p. 655; Kelly’s Dir. (1908) p. 79. 1851 Religious Census, Enderby, Primitive Methodists, HO 129/411/36. 1829 Return for Religious Meeting Places, entry for Enderby, QS 95/2/1/159.